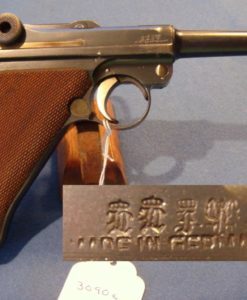 SOLD WALTHER PPK PISTOL…… RZM NAZI PARTY MARKED……..POLITICAL LEADERS FULL RIG…..VERY SHARP! 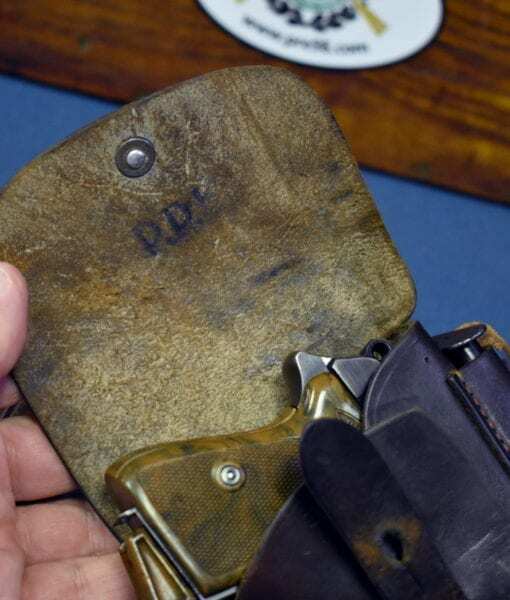 In 96-97% condition, we have a nice example of a Walther PPK Pistol with the Nazi Party RZM insignia on the slide. 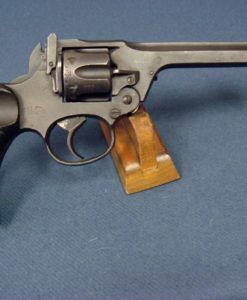 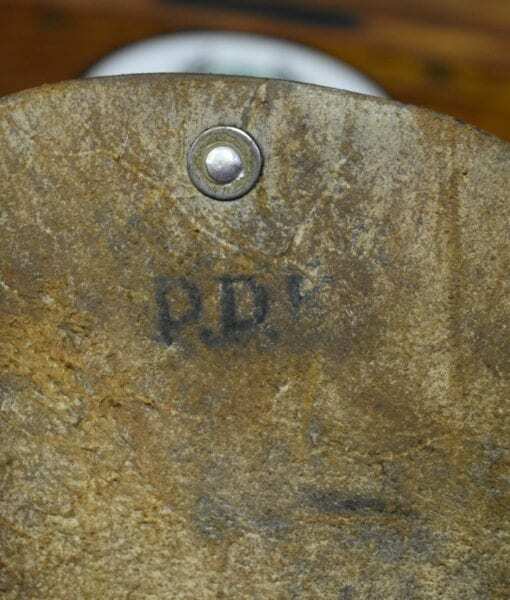 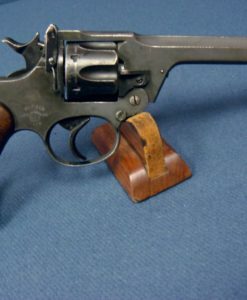 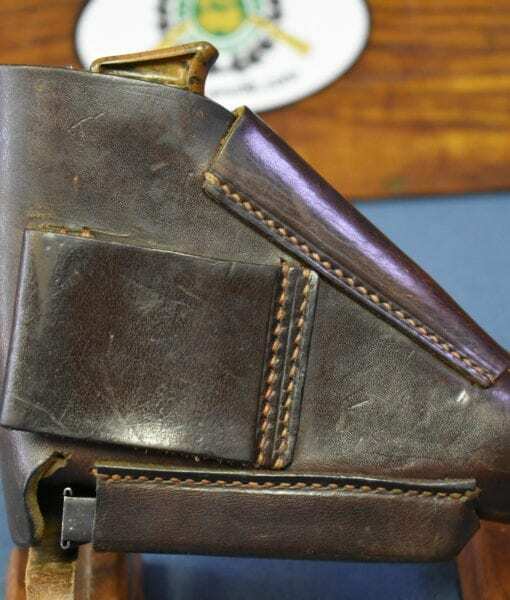 This marking indicates that this was a Nazi Party approved sidearm for issue to Party Leaders who had the privilege of carrying an Honor Weapon as a Badge of Rank. 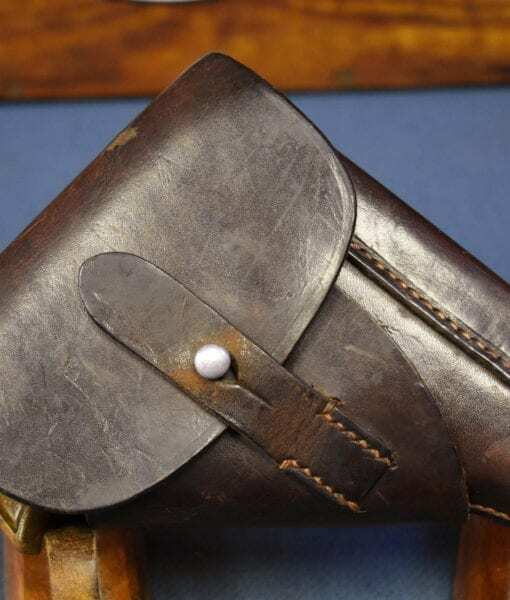 This is fully and correctly rigged out with the Nazi Party approved Akah “Anuschat” Front Mag pouch holster. 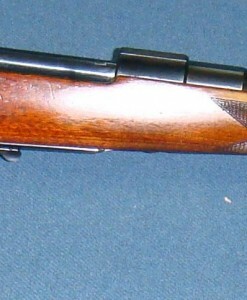 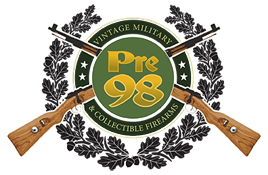 This is an early 1935 production pistol with the 90 degree safety and it has a mint bore and is matching. 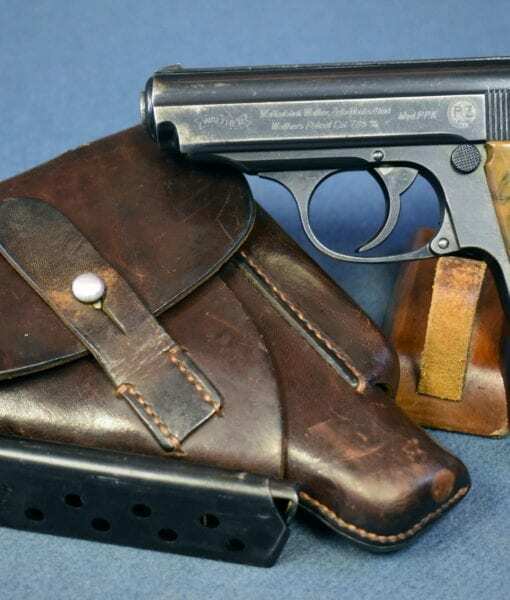 Like the “Black Widow” Luger, the RZM marked PPK variation is a highly sought after Nazi era pistol and this is a very attractive example both in condition and in price. 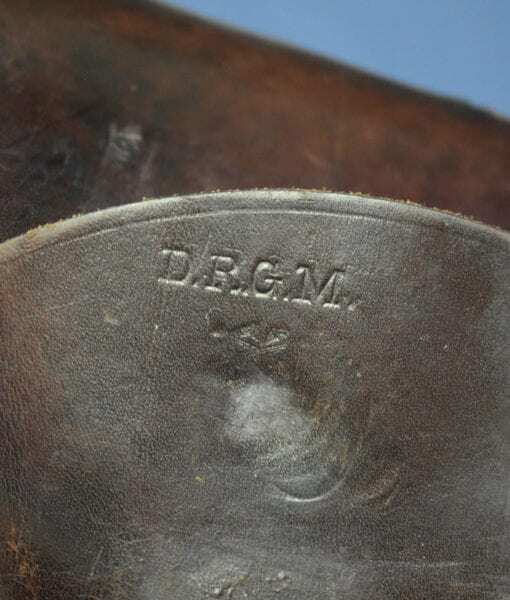 This is exactly what would have been worn by a political leader of the Nazi party such as a Reichslighter or a Gaulighter.